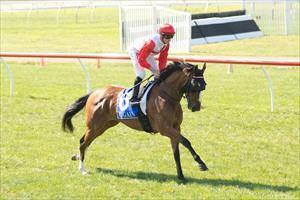 Ballymore Stables presented winning son of red hot sire Pentire on Sunday when Lord Disick (pictured) clearly relished the right handed way of racing when taking honours in race five at Hawkesbury over 2000m. Ridden by Christian Reith, Lord Disick was slightly keen throughout which led Reith to make a move mid race to take the four-year-old to the front of the field. Lord Disick fended off challenges down the home stretch, but never looked in danger with the winning margin spreading more than three lengths. “He’s still got to figure a few things out, but I think the key with him was the right handed way of going, hence the reasoning behind sending her to Sydney.” Trainer Michael Moroney reported. Lord Disick has now won two races from only ten career race day starts and was privately purchased by Paul Moroney Bloodstock following a trial in New Zealand before being sent to Australia to race.